Seaside Mulch Products Grow Your Garden From The Ground Up! 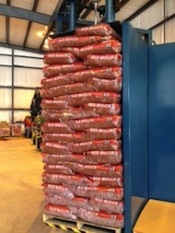 Seaside Mulch is the #1 manufacturer and packager of quality mulch and soils in the Carolinas. 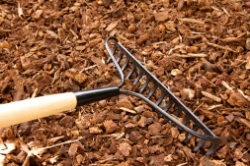 We have been manufacturing and shipping a full line of mulch, soils, and compost for 18 years. 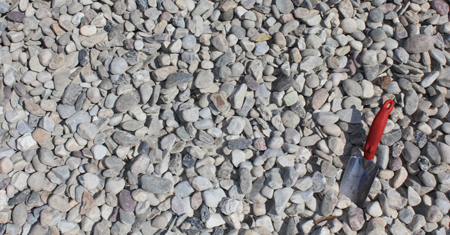 In addition to our full line of mulch and soils, we can supply you with a wide selection of gravel and natural stone. Seaside manufactures and packages color-enhanced mulches, cypress, hardwood, and pine barks. We also offer additional product lines including our Simple Soils and Mulch, Parker Organics™, and Nuleaf® Organics product lines. You can purchase these in any quantity by the bag in sizes from 8 quart bags to 3 cubic foot bags or in bulk by the cubic yard. 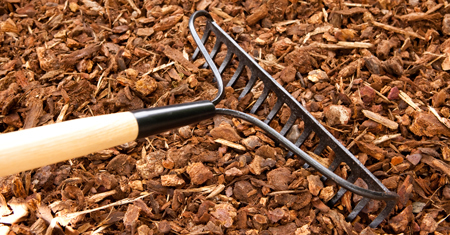 Our signature brands of color-enhanced mulch are manufactured using superior colorants and quality wood fiber. We offer 3 colors: our Forest Brown®, our Forest Black™, and our Seaside Red Mulch. 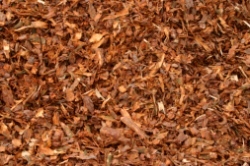 Our manufacturing process gives our color-enhanced mulches a unique vibrant color unmatched by our competition. We use only virgin wood fiber (cypress blends) and no pallets or construction debris. 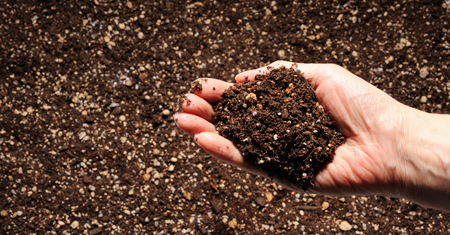 We carry a full product line of soil and compost products available by the bag or in bulk. Our Nuleaf® Organic Compost has a high source of organics (35%). Our composts are OMRI Listed and certified by the US Compost Council. 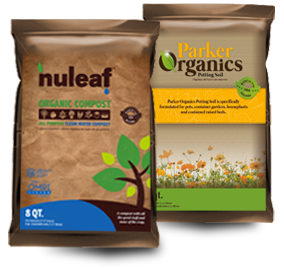 Nuleaf® is available as an Organic Compost for soil amendment or as an Organic Fertilizer for those applications that need a little something extra to get them growing. Seaside also offers our signature brand Seaside Turkey Compost. This product is excellent for roses, azaleas, and camellias. Seaside’s Organic Topsoil is screened from native topsoil and blended with organic compost and manures. Our Organic Topsoil is rich and lighter than typical earth plus it is virtually weed free. We offer a variety of potting soils, nursery mixes, as well as our Parker’s Organics™ brand potting mix. Seaside can manufacture any custom blend or mix to your specifications. Various mixes include bark fines, sand, peat, perlite, and multiple fertilizers and micro nutrients. We also offer bark and sand mixes, propagation barks, and aged pine bark for those customers who make their own mixes. We offer a large assortment of gravels and natural stone. Gravels include our multi-colored river rock, NC river rock, TN river rock, brick chips, seashell, Sunlite, red lava rock, granite, limestone, marble, sand, and coquina. Natural Stone includes blue stone, quartzite, sand stones, and various wall stone, field stone, and flag stone. You won’t find any other mulch delivery in South Carolina or North Carolina as accommodating as Seaside Mulch. We have a fleet of trucks providing prompt, professional delivery of our full line of products. We ship throughout North and South Carolina, Georgia, Alabama, Mississippi, Louisiana, Tennessee, Kentucky, Indiana, Ohio, Pennsylvania, Delaware, New Jersey, Maryland, West Virginia, Virginia, Washington DC, and Florida. With three locations in North and South Carolina, Seaside Mulch can service all your much and soil needs. Check back soon for new videos about our company, products, gardening tips, and best practices for for using and installing your Seaside Mulch Products.